Winner of several music competitions, she made her debut in 2007. 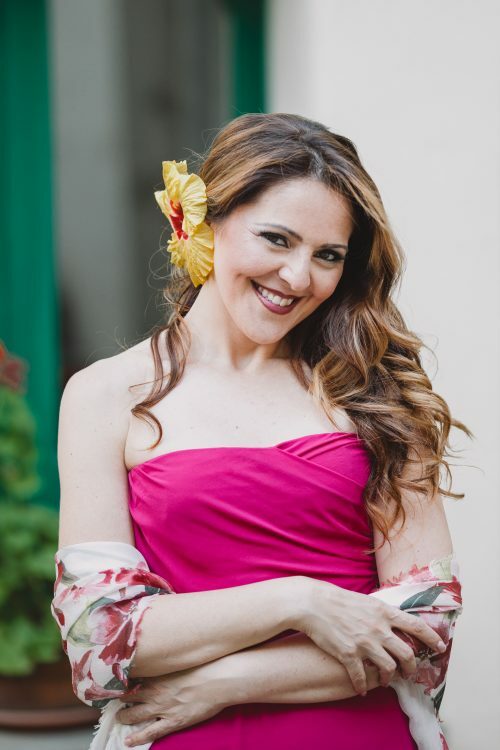 Her success came after a few years, in 2011, when she performed I Vespri Siciliani at Teatro Regio in Turin conducted by Gianandrea Noseda, with great reviews from public and critics. Since then, she has been invited to sing on the most important stages worldwide. Highlights include Norma in Tel Aviv, La Bohème (Mimì) at Arena di Verona, in Munich, at San Carlo in Naples, at Teatro Regio in Turin and at Festival Puccini in Torre del Lago, Gemma di Vergy at Teatro Donizetti in Bergamo, Elvira in Don Giovanni at La Scala. She then sang Il Trovatore in Valencia conduted by M° Zubin Mehta, Carmen in Masada and La Traviata at Berlin Staatsoper. In 2012 she returned to La Scala with La Bohème, where she obtained a big personal success. She was higly praised for her performance in the concert version of Giovanna d’Arco at Musikverein in Graz with ORT and she sang Simon Boccanegra in Rome with M° Muti, I Masnadieri and La Bohème in Venice, Verdi’s Messa da Requiem at San Carlo in Naples with M° Luisotti and at Staatsoper in Berlin conducted by M° Baremboim, Oberto Conte di San Bonifacio at La Scala, Otello in Valencia with M° Mehta, La Vestale in Dresden. She performed La Traviata at Arena di Verona and in Guangzhou, Otello in Zurich and Genoa, a new production of I Puritani at Opéra Bastille in Paris, Il Trovatore at La Scala, La Bohème in Tel Aviv and at Opéra Bastille, Simon Boccanegra (new production) in Dresden conducted by M° Thielemann, the debut at the Royal Opera House, with I due Foscari, conducted by Antonio Pappano. Maria has won the important prize “Franco Abbiati” in 2014: Italian national critics gave her the prize for Best Soprano. Future plans include: Il Trovatore and Don Carlo at Teatro Real de Madrid, Otello at Opéra de Montecarlo, Norma at Opernhaus in Zürich. 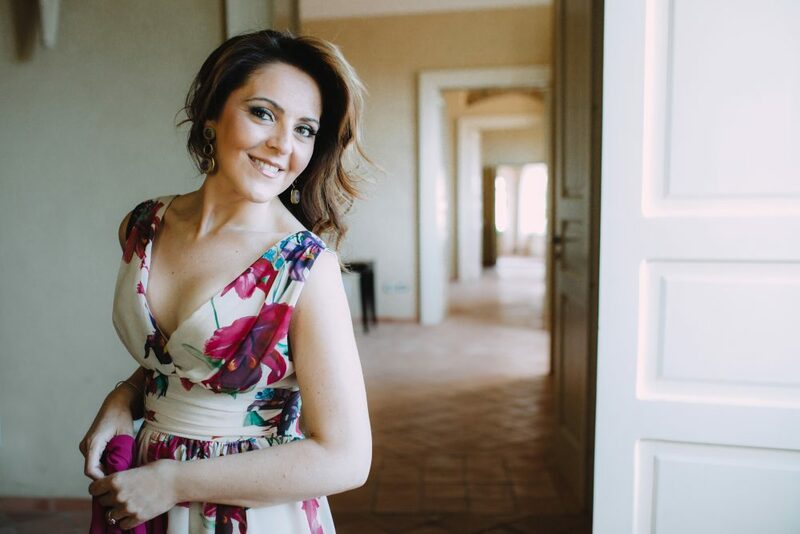 Bergamo had an outstanding interpreter of the title role in Maria Agresta, whose full, iridescent soprano dealt handily with the music’s demands for bel canto gracefulness as well as for Verdi-like fervor, offering some beautiful pianissimos along the way. La sensationnelle Maria Agresta incarne Violetta (avant que Nicole Cabell ne prenne sa place pour les deux dernières représentations). Elle possède une voix somptueuse et puissante, qui, aussi belle que précise et nuancée, chante les phrasés les plus difficiles avec un talent et une expressivité incomparable. Sa présence est telle qu’elle lui permet d’apporter le plus grand des contrastes entre « Ah fors’è lui » et « Sempre libera degg’io », tandis qu’elle dévoile également toute sa sensibilité lors de l’aria de l’acte III « Addio, del passato ». Maria Agresta è l’altra autentica rivelazione di quest’anno verdiano. Con dominio tecnico, intensità espressiva e dosaggio dei colori, finalmente si ascolta una Desdemona non evanescente. 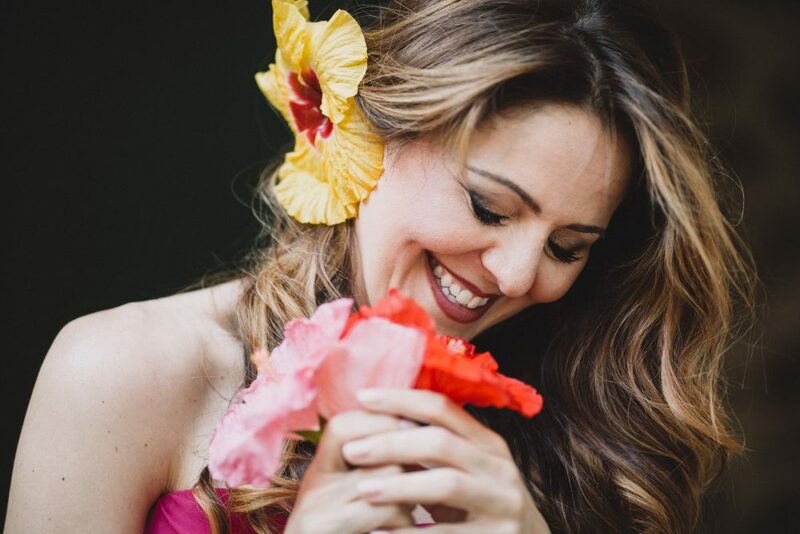 Soprano Maria Agresta, in a performance deftly conducted by Dan Ettinger on Wednesday, portrayed a Mimì that revealed the fragility, but also the strength, of this winsome character. Her rich, dark-hued voice soared in an impassioned “Mi chiamano Mimì”; her shimmering pianissimos sounded gorgeous as she bid farewell to Marcello at the end of Act III. Maria Agresta succède en beauté aux légendaires divas qui incarnèrent cette redoutable Norma, de Rosa Ponselle à Montserrat Caballé en passant bien évidemment par Maria Callas. Elle n’est pas une inconnue. [..] Outre sa voix, elle a de vrais dons de comédienne, de l’aisance et de la chaleur humaine qu’elle communique à son personnage de grande prêtresse menant une double vie, druidesse pour l’apparence et ses sujets gaulois, amante et mère dans l’intimité clandestine entretenue avec l’ennemi, le proconsul romain.